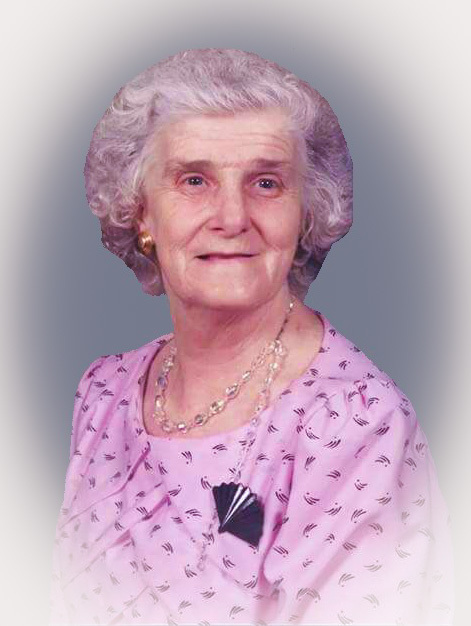 Naomi Jean Anderson 93, of Annapolis, Ohio passed away on Thursday, March 21, 2019 at her home. She was born July 8, 1925 in Wintersville, Ohio a daughter of the late Jesse and Mary Wright Hill. In addition to her parents she was preceded in death by her husband, Clarence Anderson, Sr.; son, Thomas Anderson; four brothers, Scott, Harold, Glenn and Jim Hill. Naomi was a member of Wintersville Community Chapel. She especially loved her family and grandchildren. Her hobbies included dancing, crocheting and coloring. She is survived by her seven children, Clarence “Andy” (Kathy) Anderson, Joseph (Barbara) Anderson, Timothy (Robbie) Anderson, Allen (Donna) Anderson, Sharon (Don) Sandy, Bonnie (Dave) Carson, Sherry (Robbie) Hazelip, daughter-in-law, Chris Anderson; two brothers, Ray (Bev) Hill and Jesse “Buck” (Helen) Hill; five sisters, Susan (Bill) Pellegrino, Avella Dennis, Marylou Gorby, Barb (Gail) Litten and Erma (John) Gribbon; 20 grandchildren, 34 great-grandchildren and 5 great-great grandchildren. Friends will be received at the Everhart-Bove Funeral Home, 685 Canton Rd., Wintersville on Monday from 2-8 PM. Funeral services will be held Tuesday 11 AM at the Wintersville Community Chapel with Pastor Mike Mantos officiating. Burial will follow at Fort Steuben Burial Estates. Send condolences online at www.everhart-bovefuneralhomes.com.